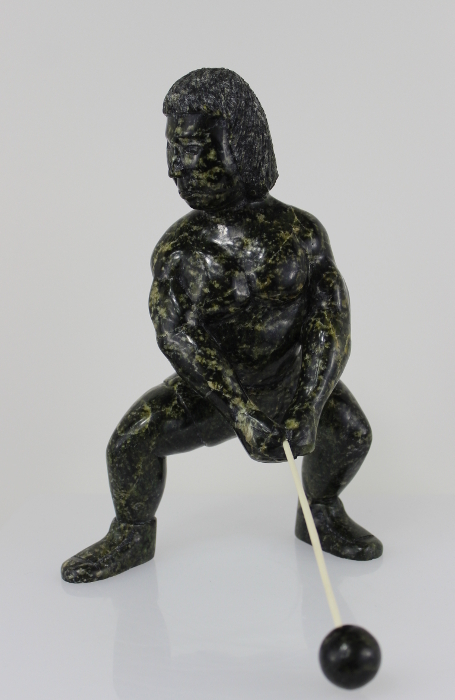 Another of Etidloie’s sports-themed wonders. 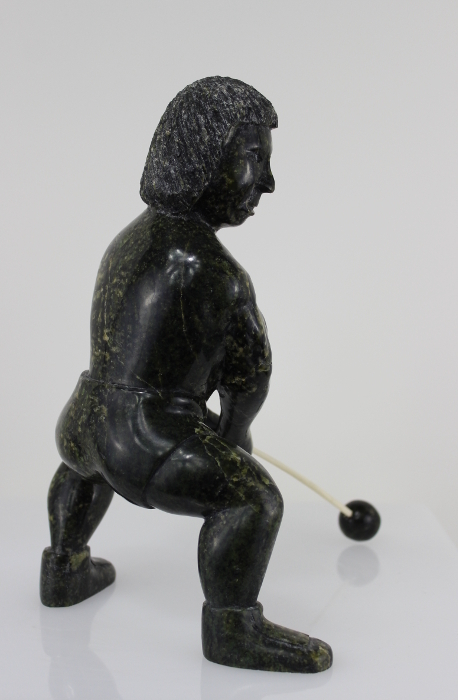 The hammer throw carved by this well-known artist from Cape Dorset is a gorgeous piece. 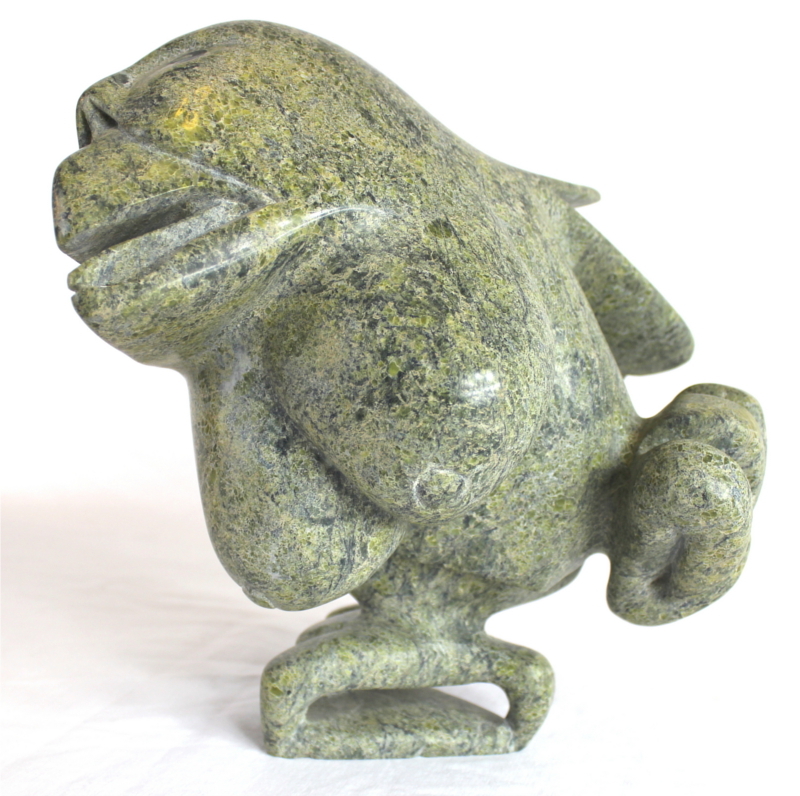 This serpentine carving is a beautiful example of contemporary Inuit Art. 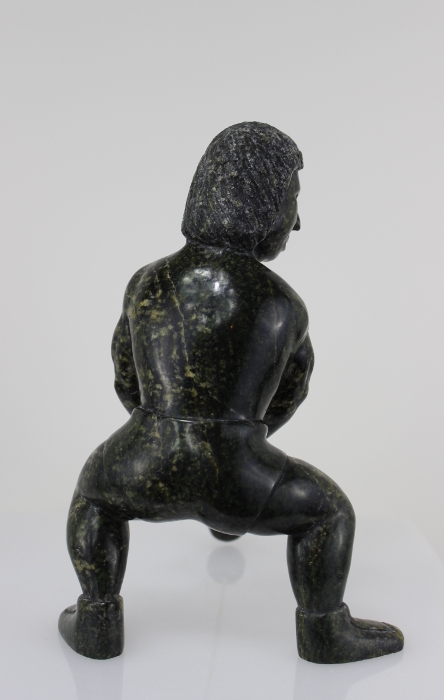 The subject matter depicted is not what most would picture when imagining Inuit art, which lends to its appeal. 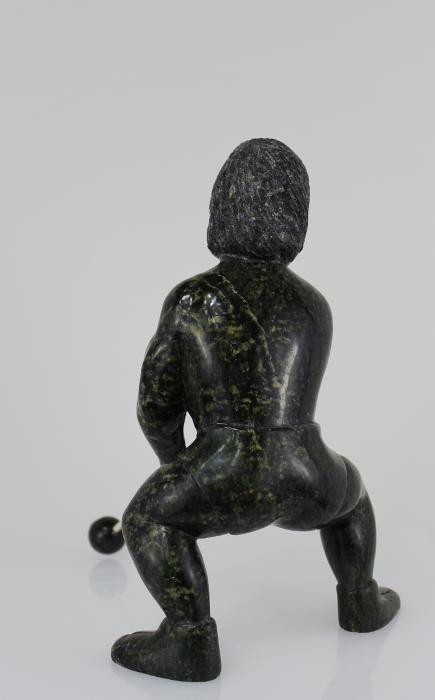 This carving would be a great addition to any collection. 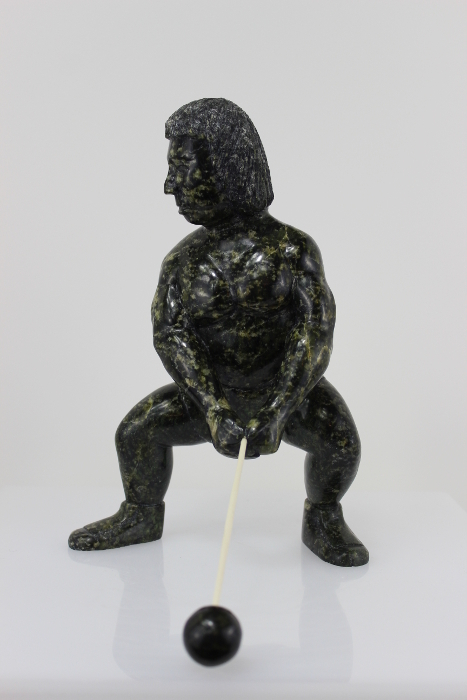 Isacci is the son of Cape Dorset carver, Etulu Etidlui, and the grandson of renowned graphic artists, Etidlooie and Kingmeata Etidlooie. 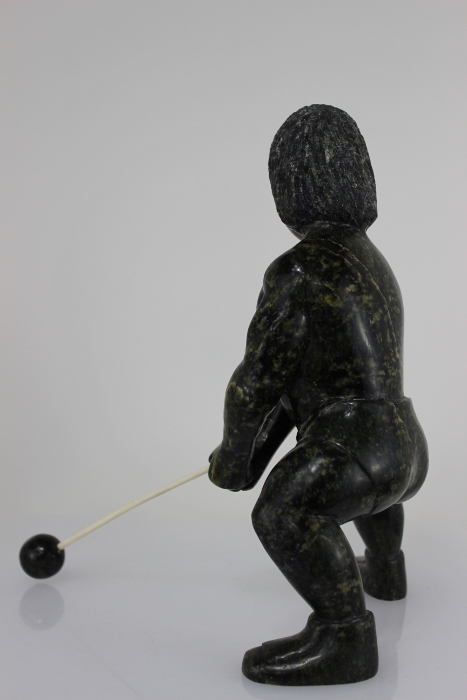 He has been carving since he was 7 years old and his favourite subjects are drum dancers. 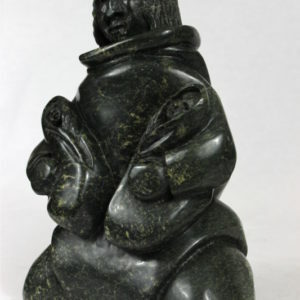 Organized by Northern Art Impressions Inc. 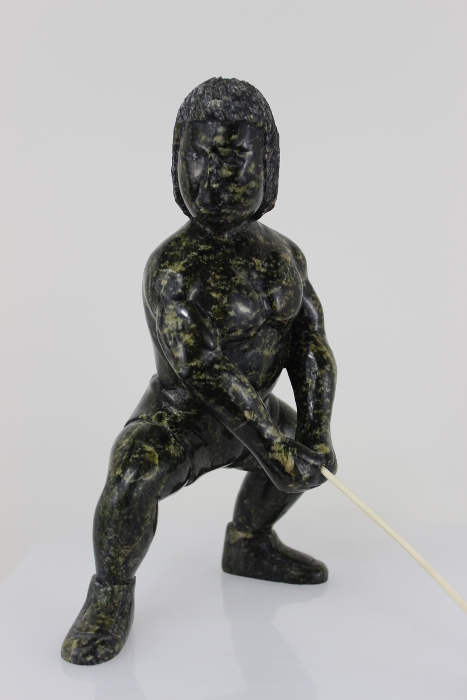 THE TREASURED MONUMENT: An Exhibition of Small-scale Inuit Sculpture. 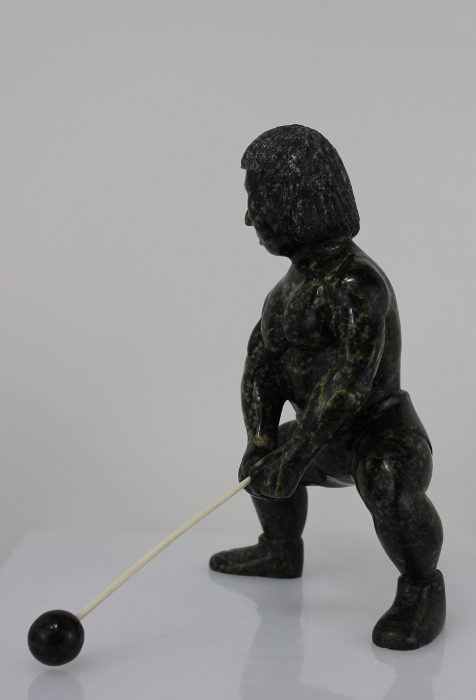 Vancouver: Marion Scott Gallery, 1993.